The Vocabulary Builder program uses a systematic approach to building students' vocabulary by presenting words in context or information about word parts to help students unlock word meanings independently, and by requiring students to apply their knowledge of new words in reading and writing exercises. Each book in the seven book series is designed for a specific reading level and features readings from the humanities, social studies, and sciences, vocabulary from Greek and Latin roots, assessment after each writing assigment, and a section on taking standardized tests! 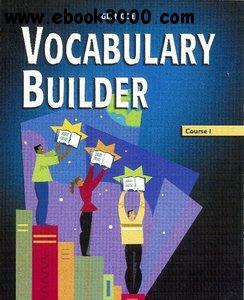 Vocabulary Builder is a research-based program and is ideal for SAT/ACT preparation.